DD Gov Consulting a long history and proven track record representing vendors pursuing governmental contracts. While there are other organizations interested in your topics we identify the ones on our side of the issue and coordinate efforts to maximize success. DDGOV Consulting can help you do business with the Cities and Counties across the State of Florida. We have the unique ability to provide local government consulting and we are the only firm that has personal relationships with most CIO’s in the City/County space. DDGov Consulting has successfully procured all systems to run City business. From ERP to 800Mhz, DDGov Consulting has a thorough knowledge of this arduous procurement process can help successful organizations benefit the bottom line. DDGov Consulting can help develop the targets and strategies to manage successful relationships and meaningful partnerships with government. Business is based on honesty, integrity, and relationships and at DDGov Consulting our goal is to continue to utilize these attributes to help companies like yours be successful. There are many lobbying firms in Florida who will tell you they have the experience to help you, but how many can say they have someone who has actually procured systems? How many firms can tell you that they have strong personal relationships with most City and County CIOs in Florida? Millions upon millions of dollars are spent each year on technology not only in state agencies, but cities and counties in Florida as well. Having the proper sales strategy is an absolute necessity and hiring the right person to guide you through the process is paramount to your success. DDGov Consulting can help you do business with the Cities and Counties across the State of Florida. DDGov Consulting has the unique ability to provide local government consulting and is the only firm that has personal relationships with most CIO's in the CIty/County space. Local governmet, at all levels, purchase millions of dollars worth of goods and services from outside vendors on a regular basis to make their City or County run smoothly and efficently. It is important to understand how to maneuver through the procurement process to ensure success. As a former President of the Florida Local Government Information Systems Association for two years and a member of the Board for size years, Don DeLoach has met and become friends with over 100 CIOs in the City and County space. Don knows the challenges that these CIOs face every day; whether it be technology related or staff related. Understanding these challenges gives me a unique insight on how to respond to their individual needs and develop a plan that can help them solve their technology problems with a solid foundation of solutions. President - New Capitol I.T. 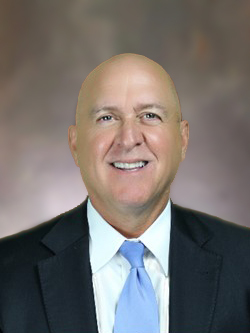 Chuck Cliburn is the founder and president of New Capitol IT, LLC a governmental business development and lobbying firm located in Tallahassee Florida. New Capitol specializes in helping companies in the information technology and business processing industries do business with Florida government. Chuck is a long-time Tallahassee resident and business leader. For over two decades he has worked closely with Florida leaders, industry, and stakeholder organizations to identify, and advocate for innovative technology-based solutions that enable more efficient and cost-effective government operations. He is a trusted advisor to some of Florida’s most well-known and respected business and service organizations. He sits on the Florida TaxWatch Board of Trustees and served on the TaxWatch Cost Savings Task Force for 3 years. He is a member of Associated Industries of Florida and chairs the Legislative Affairs Committee for the AIF IT Council. He also holds board positions with the Challenger Learning Center and the Big Bend Minority Chamber of Commerce. He is past chair of the American Heart Association Tallahassee HeartWalk and is active in his church, Good Samaritan United Methodist where he plays keyboards in the church band. Chuck’s opinions on IT issues and governance in Florida have appeared In the Tallahassee Democrat and CONTEXTFLORIDA. He has been a featured guest on Florida Public Radio. Chuck is a strong advocate of Florida economic and business growth. While at Xerox, he championed the Xerox expansion in Tallahassee. He and his teams were recognized by Florida Workforce Plus on multiple occasions for his leadership in promoting business and job growth in the Tallahassee area. Chuck began his career in Phoenix, Arizona with Burroughs Corporation (now Unisys). In the early years, he held sales and management positions across the country including positions in Las Vegas, Miami, Philadelphia and Jacksonville and Tallahassee. However, for most of his career (over 23 years), he has lived and worked in Tallahassee. Immediately prior to founding New Capitol IT, he served as Senior Vice President and Florida Client Executive for Xerox Services in Florida. 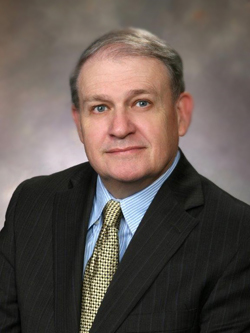 Don DeLoach is President of DDGov Consulting. After retiring from the City of Tallahassee with 28 years of service, Mr. DeLoach worked for One Eighty Consulting in Tallahassee for almost five years. A native of Tallahassee, Mr. DeLoach obtained his under graduate degree from The Florida State University in 1981. He received his Masters Degree in Public Administration from Florida State in 1994. His professional experience includes 34 years in the technology industry of which the last 24 have been in management. Mr. DeLoach has worked on numerous projects involving systems application design, system selection, implementation, and contract management. From 1998 to 2010, Mr. DeLoach was the Chief Information Systems Officer for the City of Tallahassee responsible for all of the technology needs of the City including the management of the 800MHz communication system. His staff of 84 employees maintained a state of the art Oracle/PeopleSoft ERP and numerous mission critical applications necessary for the City to operate. Mr. DeLoach is a former President of the Florida Local Government Information Systems Association, a former member of the Board of Directors for Public Technology Institute and was recognized in 2008 as a "Premier 100" CIO by Computer World magazine. Don resides in Tallahassee with his wife Anja and daughter, Jessica. In his spare time, he enjoys playing golf. Business is based on honesty, integrity, and relationships and my goal is to continue to utilize these attributes to help companies like yours be successful. Our clients hire us because we are among the very best in the business: uniquely qualified, innovative, and experienced. Let’s talk more! DDGov Consulting © All Rights Reserved.